My idea was to do a fish tail braid with thin interweaving ribbons. But, we had very less time to 'try' things. So, we did the normal fish tail but added a charm in the end. That fluffy pink think with pearls and stone is actually a phone charm which I got from ebay last year. I realized it later that my phone don't have a place for charm. Finally the charm did some help. 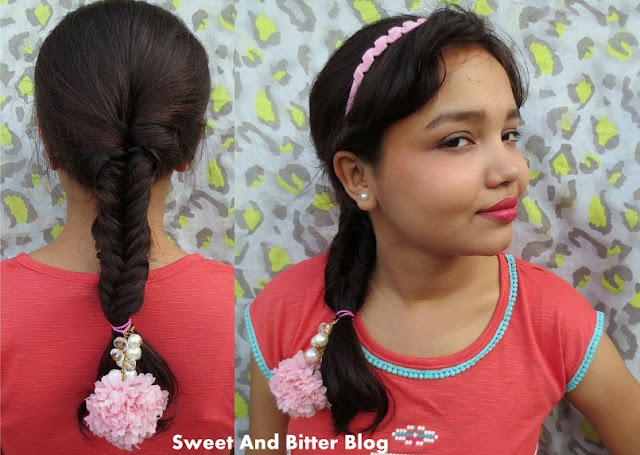 How to - Just do a simple fish tail braid and use accessories of your choice. I love buns. And there are so many of them. You can always twist turn and create something of your very own. I add the hair accessory to give this some oomph. How to - Divide hair in three part. Create a simple loose brad with the middle postion. 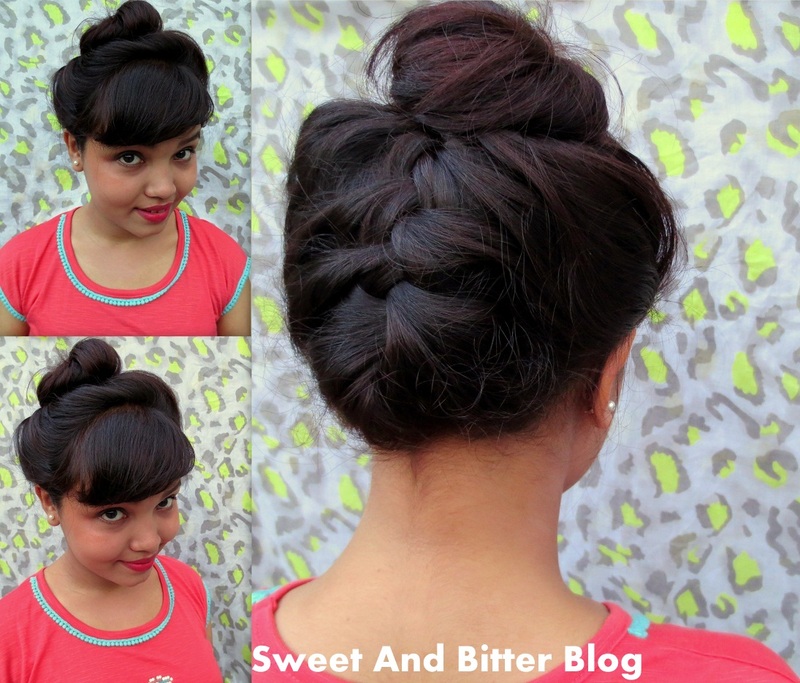 Roll it in like a cinnamon bun and secure with bobby pins. Do not now make a tight roll. 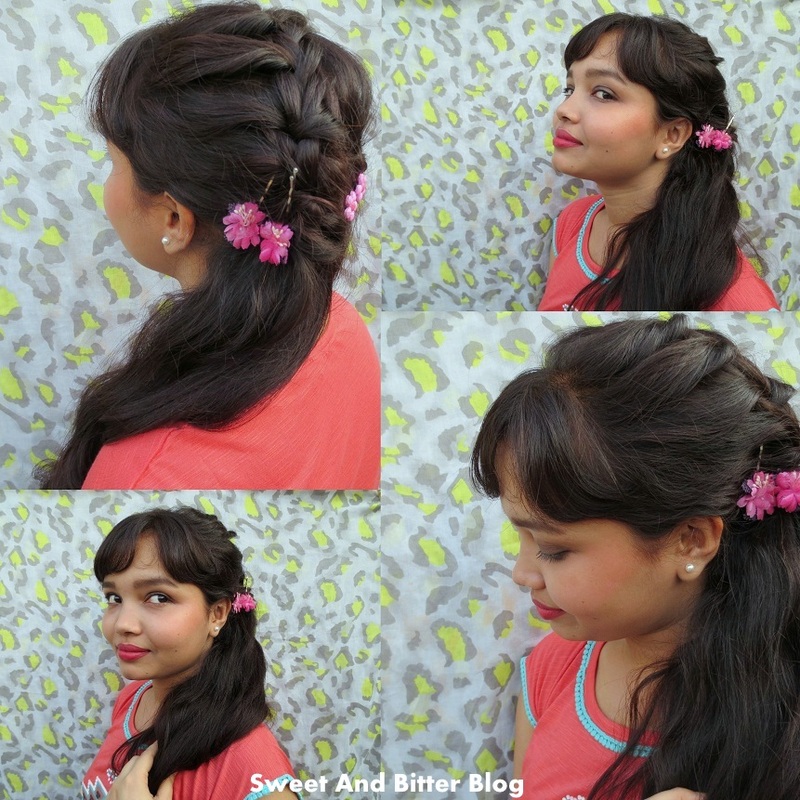 Now with each of the side portions, again create braids and wrap the middle hair bun crossing over it. 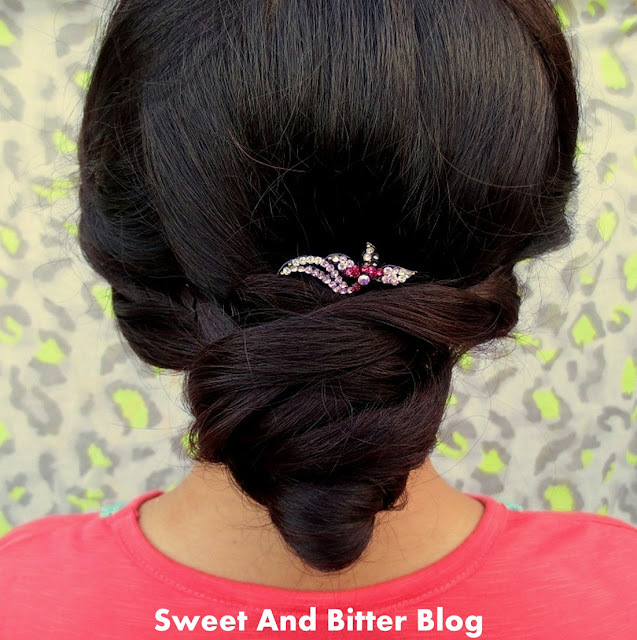 Secure the loose ends with bobby pins. The simplest of all. But, the toughest to carry around in public *wink*. The coral types beaded sting necklace is a old from Globus. I loved it how I could use it for the simple gypsy look. How to - Take a part of hair from each sides from around the temples. Flip the hair inside and do a reverse braid. 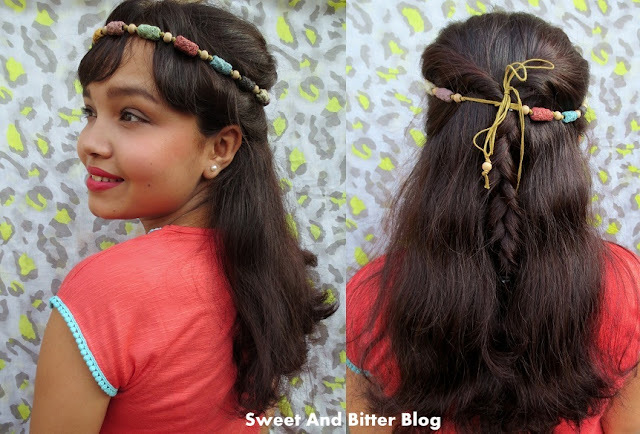 Tie around a beaded string to add the gypsy look. Actually, I just checked and found that the first pic was taken at 16:20 and the last is at 17:52. Pretty fast for all this. No? Off course the editing was done later. This post is done for the TRESemmé Ramp Ready Hair at IndiBlogger.Com. 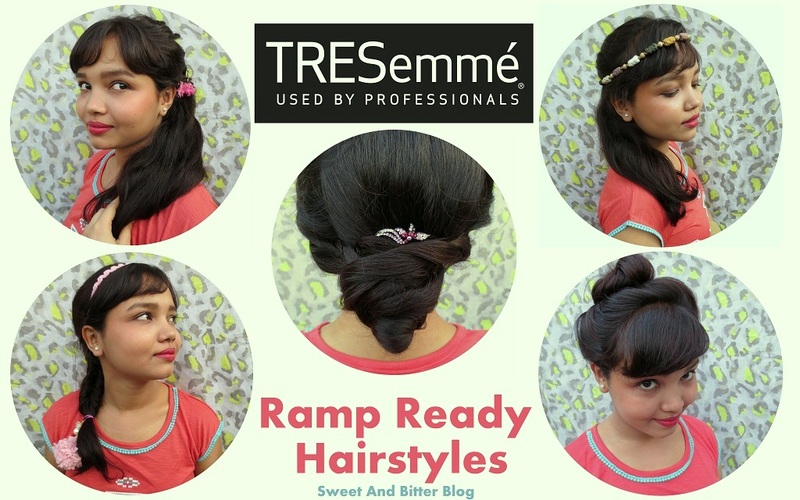 You can check loads of more headstyle for various texture and length at the TRESemmé Video Channel. Recap of all the hairstyles I tried for my hair. whoa gurl! this is awesome!! yummy ! super love... loads of luck ur way!